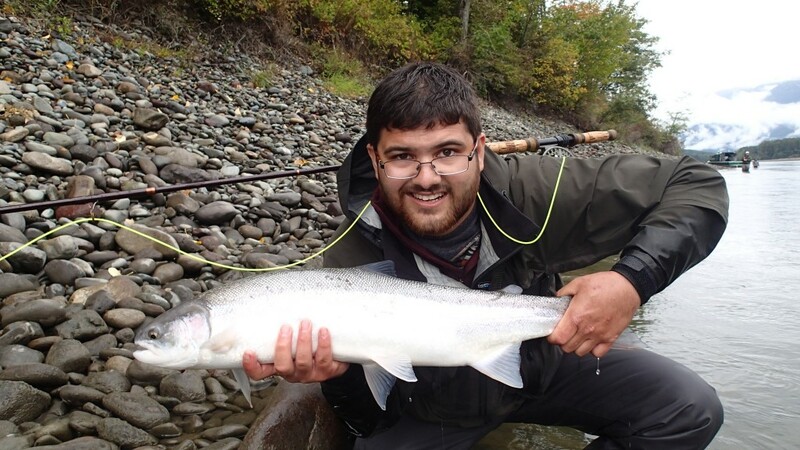 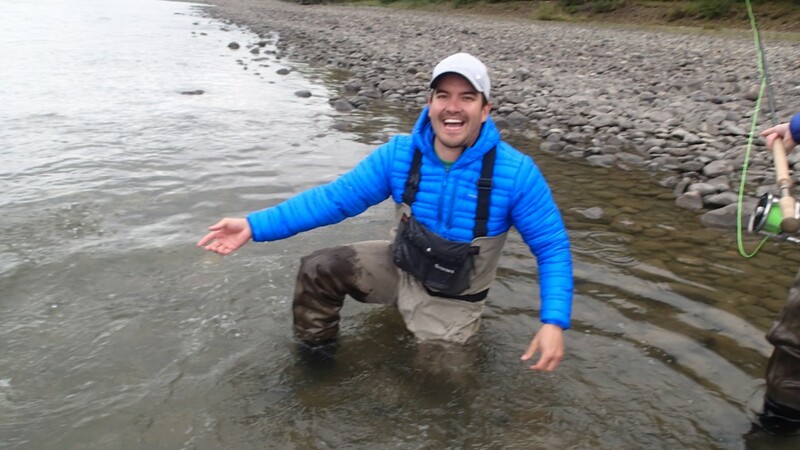 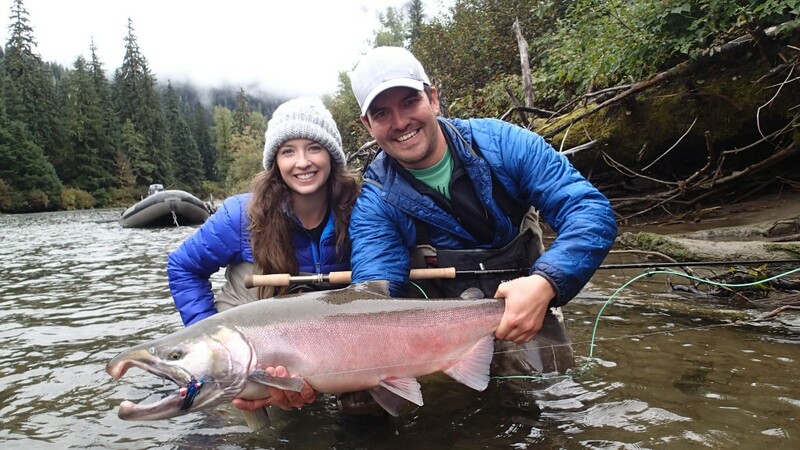 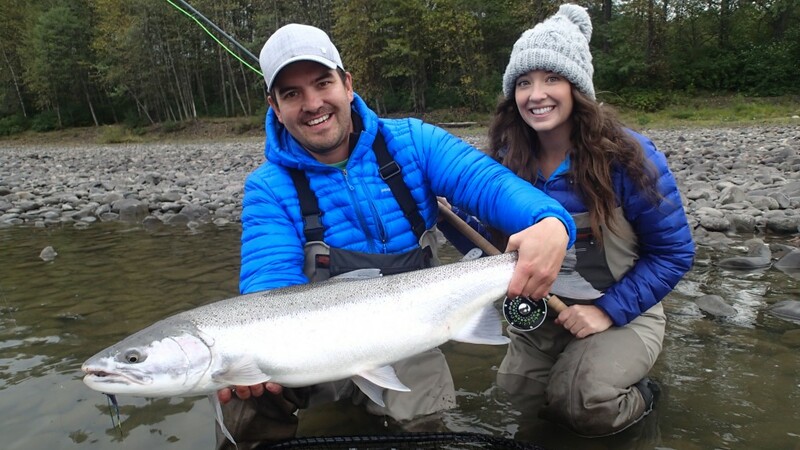 Steelhead guides on the Skeena river fly fishing the kitimat river,nass river with over 30 rivers to choose from this is Disney Land for anglers from around the world book your trip today ! 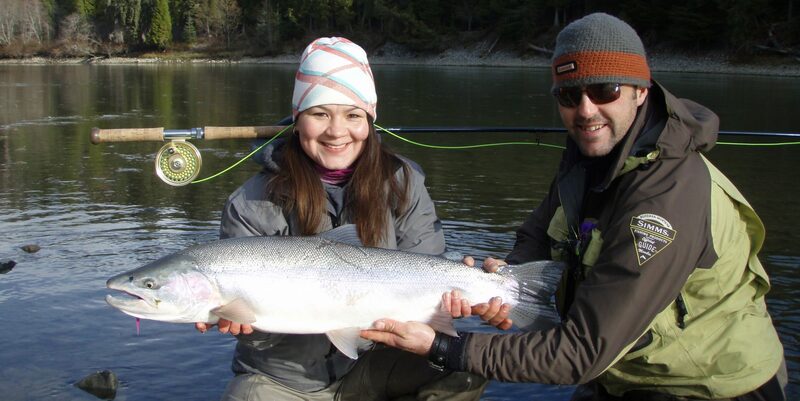 Gill Mckean with a Chromer caught March 28 ..Terrace BC . 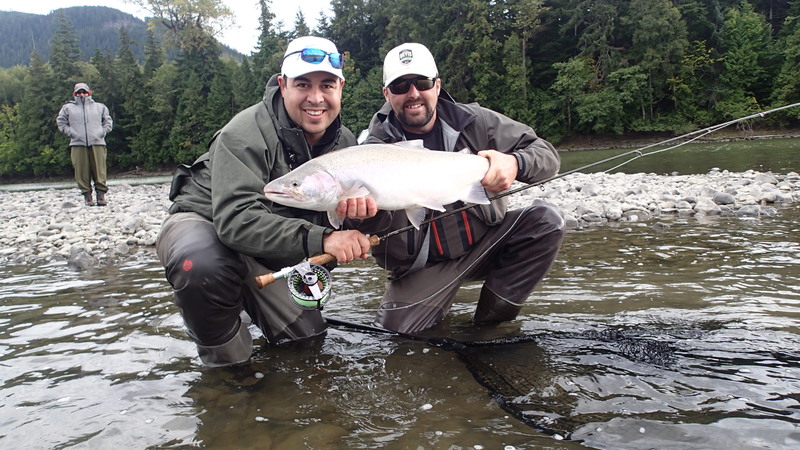 And so it begins spring steelhead season March / April- we are looking forward to another great year of fishing our company is now an Orvis endorsed fly fishing guide service for the Skeena river, Nass river, Kitimat river with 16 years of experience we have the rod days and the knowlege to take you on a fly fishing trip of a life time with over 30 remote rivers to guide on the options are endless. 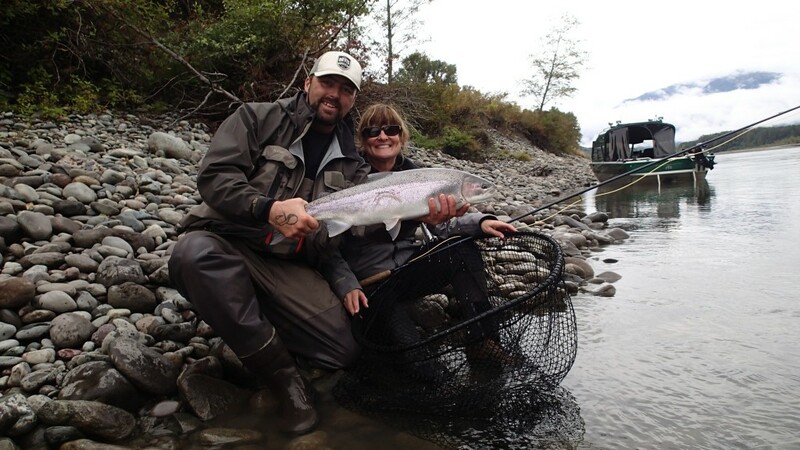 King salmon enter the system in late May then the season just builds from there with Pink salmon,Chum salmon,Coho salmon,Sockeye salmon & the high flying Summer Steelhead mixed in. 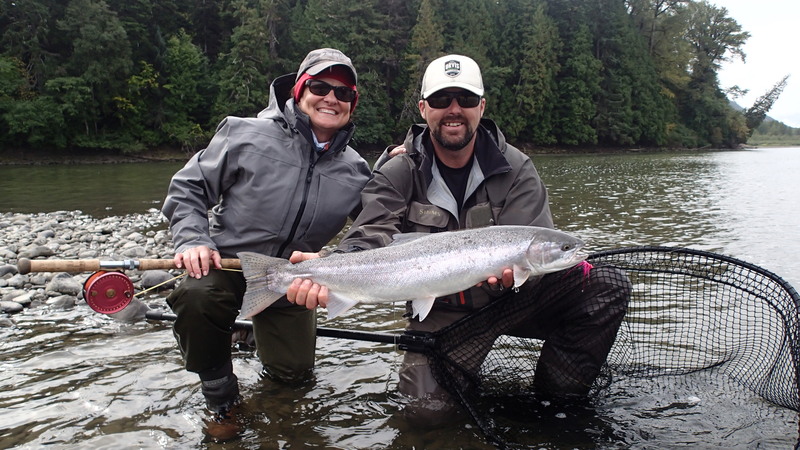 July & August can be what we call the grand slam month when guided anglers can expect to catch all 5 species in one day. 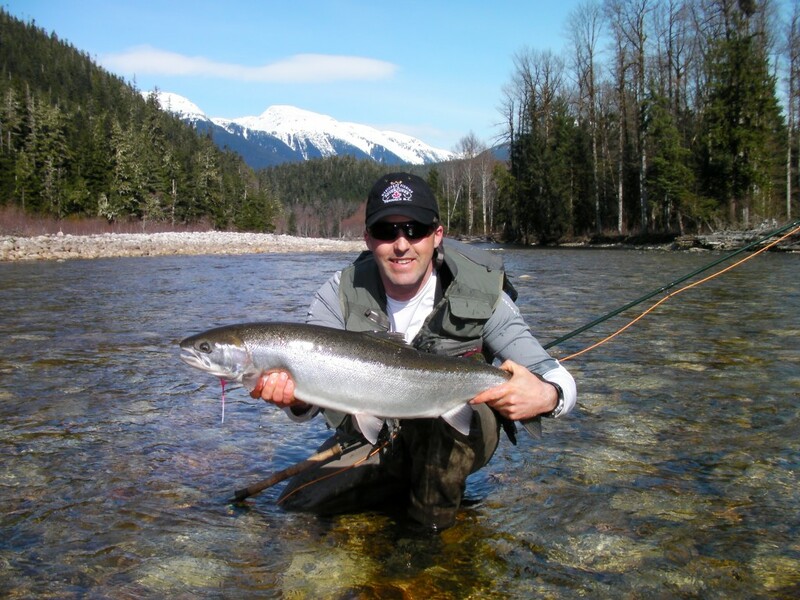 Summer run Steelhead spring Steelhead camp inquire here!